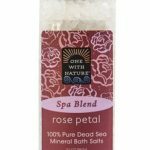 If you’re a vegan on a budget, looking for high-quality products to pamper your body, you’ll be delighted by Trader Joe’s extensive selection. You’ve probably shopped at their stores many times, availing yourself of their array of vegan and vegetarian food items, but you may not realize that TJ’s has you covered from head to toe, as well. We were delighted to discover that they are jam-packed with vegan, cruelty-free body care products, as well. Find your closest Trader Joe’s on the company website, www.traderjoes.com. Most likely, there’s one not very far from your home. 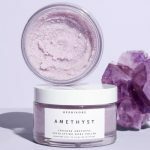 Most of the site is dedicated to food products and recipes, but the folks here at Vegetarian Beauty Products are privy to knowledge about their vegan body care offerings. 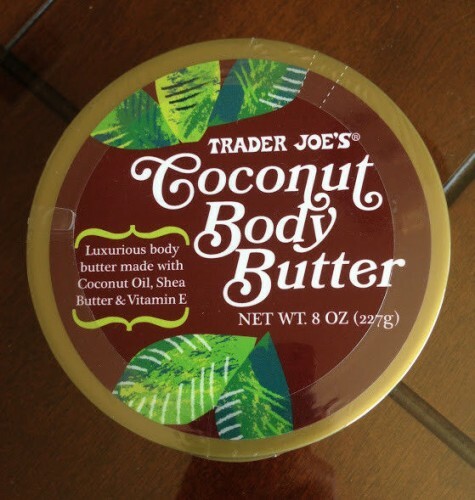 One of our all-time favorites is the Coconut Body Butter (approximately $8.00). This 8-ounce container contains one of the most divinely scented elixirs we’ve ever encountered. It’s creamy, thick, and feels great on your skin. Coconut oil, shea butter, and vitamin B combine to create a moisturizing lotion that smells good enough to eat! Customers rave about this body butter, and it’s easy to see why. 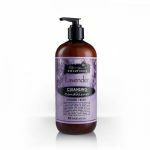 Another divine offering is Trader Joe’s Spa Lavender Hand and Body Lotion (approximately $4.99). When you use this product, you’ll be amazed by the fact that you’re getting such high quality at such a low price. No scent soothes like lavender. The lotion is peaceful yet stimulating, relaxing your senses as it sinks gently into your pores. We love to keep a bottle in our bathroom at all times, since it’s so economical and versatile. Try it, we think you’ll agree. If you like simple, vegetable oil-based soaps, pick up a package of Trader Joe’s Tea Tree Oil bars (approximately $2.00). Tea tree oil is one of nature’s most concentrated cleansing agents. 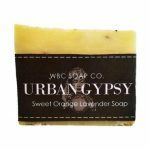 This soap will stimulate your nostrils while you cleanse your body of the day’s grit. The bars are free of top common allergy causing preservatives, including parabens, lanolin, coconut, topical antibiotic, MCI/MI, nickel, gluten, soy, and propylene glycol. TJ’s soap is mild enough to use every day, and at such a low price, you’ll want to do exactly that. The company runs sales constantly, so be sure to sign up for their Frequent Flyer mailing list. If you can’t make it to one of their stores, or they run out of your favorite products, you can order many of them on Amazon.com. You can’t go wrong with their extensive line of vegan, cruelty-free offerings. Viva TJ’s! 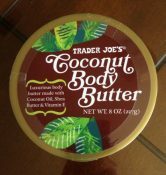 You can buy a surprisingly large number of inexpensive, vegan, cruelty-free body care products at your local Trader Joe's! Pamper your body without emptying your wallet! ← Nurture Your Entire Body with Cocokind’s Cruelty-Free Products!